Beginning today, VSB members may access the new and improved version of the Fastcase legal research tool from the member page. 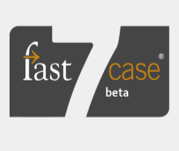 Both Fastcase 7 and the classic version of Fastcase will be available until next year so that users may become familiar with the new version while still using the classic version. Fastcase 7 contains all of the current features of classic Fastcase, but now includes enhanced Forecite, Tag Cloud, Authority Check, and Bad Law Bot, the first big data service to identify negative citations to judicial opinions. Fastcase 7 also offers more advanced search options, new results screen options, larger fonts, and easier reading and printing options. Simply toggle over the Fastcase 7 logo on the member page and a guided visual tour loads that reviews all of the new functions. Fastcase is provided free to all VSB members, though the service ordinarily costs $995 per year for subscribers. Fastcase is the most popular legal research service in the country, serving over 800,000 lawyers and twenty-seven state bar associations.